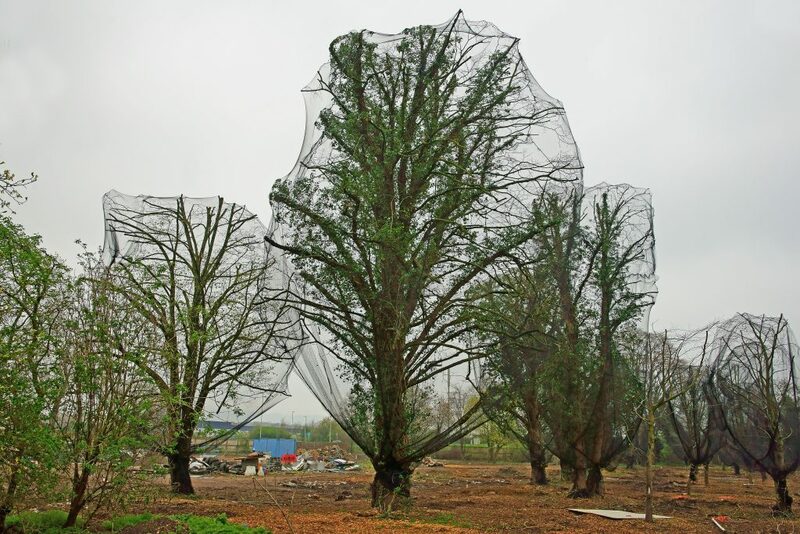 Developers may, understandably, think it sensible to use netting to stop birds nesting in trees they may have to lop or fell, or which could suffer damage during construction work. It is perfectly legal to do this, but both the RSPB and the Chartered Institute of Ecology and Environmental Management (ICEEM) advise against it. The problem? Birds are already struggling to survive and thrive in the face of multiple challenges. These include climate change, loss of habitat and pressure from new development. Reducing their available nesting sites still further can only make things worse. So how can developers help? Both the RSPB and the ICEEM also advise calling in a professional ecologist, who can often help you avoid the use of nets in the first place. Aside from the ecological considerations, netting is increasingly controversial. In the words of Jeff Knott of the RSPB, “It seems to be popping up all over the place, and that’s been a real concern. The public interest in this issue has been absolutely huge.” Several recent cases would support that view. Getting it wrong can also carry penalties. If members of the public see that wildlife is being trapped by your netting, and nothing is being done about, they are advised to tell a Police Wildlife Crime Officer. With that in mind it is obviously sensible tor developers to avoid using netting wherever possible. Still need to use nets? check the nets at least once, and preferably three times a day. Again, the advice is to call on the help of a professional ecologist to specify the right kind of netting, ensure it is fitted properly, and carry out the necessary checks. Since this will obviously be expensive, it is clearly better to avoid using them altogether if at all possible. We will be happy to give you the advice you need. We do not have a policy on the rights and wrongs of the issue, but we will give you the guidance you need to ensure that you and your team are not put at risk. Just give us a call us on 01638 663 226 or send us an email.